Prime Minister Viktor Orbán on Friday attended a meeting of central bank governors of China and the 16 countries of central and eastern Europe. In his address to the meeting, organised for the first time, the prime minister advocated boosting ties between China and the CEE region. 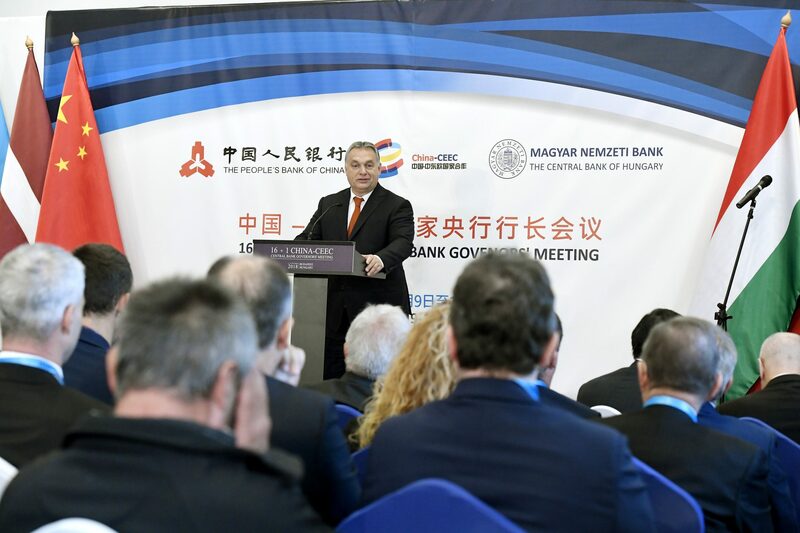 Noting the emergence of “a new world order” with “several power centres”, Orbán argued that China was in pole position while the CEE region would become the “engine” driving Europe’s economy in the next 5-10 years. Orbán said China should not be handled with any ideological prejudices. “It should be accepted that we are different and manage our countries differently,” he said, adding that the point was “not to pass judgement but promote mutual interests”. The prime minister called China a “fixed star” in terms of its economy and said that China would be a dominant factor of the world economy in the long term. “We must be prepared that the dollar could lose its exclusive control over world trade,” he said. The Hungarian government will continue issuing state bonds in yuan in the future, Orbán said, adding that the government was also mulling plans to use the yuan as the currency of bilateral trade with China. This option, he said, would be “more of an opportunity than a risk”. 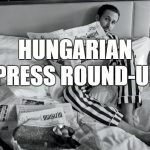 Orbán addressed the possibility of another global economic crisis, saying that some analysts saw a 70 percent chance of a recession that would, however, not be as serious as the one in 2008. Referring to the “trade wars” in the global economy, Orbán said that the United States was “trying to change trade conditions” in an effort to “preserve its superposition”. “This is not our war but we are impacted, therefore we need to keep good ties with both sides,” he said. “We should get China, Germany or the US interested in the success of our country and region,” Orbán added.